As medical therapy has advanced and people are living longer, unfortunately, cancer has become more common. While cancer treatments have progressed immensely, many people have concerns regarding their appearance after skin cancer is treated. Skin cancer excision prioritizes the removal of the cancer above all else to ensure the survival and quality of life of the patient; however, people also have questions regarding how their skin will be reconstructed once the skin cancer has been removed. For more information regarding skin cancer excision & reconstruction, continue reading below. Skin cancer can take many different forms and appearances. Some skin cancers, such as basal cell carcinoma, look like raised red pearls on the surface of the skin. Other skin cancer appearances, such as Melanoma, look like darkened patches where lighter skin used to be. People with concerns over the development of skin cancer should keep an eye on their skin for changes in its appearance. Common signs include irregular borders on the skin, an asymmetrical appearance, or a change in color or appearance from what the patient is used to seeing. Many people have questions regarding their skin cancer excision and reconstruction before the surgery. Some commonly asked questions are answered below. How will the surgeon know that all of the cancer has been removed successfully? The answer to this question will vary based on the type and location of the procedure. Some cancer treatments are shaved off gradually with the surgeon examining the tissue under the microscope as the procedure is performed. This will allow the surgeon to ensure that all of the cancer has been removed before closing up the surgical site. What kind of cosmetic issues can the skin reconstruction address? Common problems that people have concerns about after the cancer has been removed include the asymmetry of the skin appearance from one side of the body to the other, the tightness of the skin, the inhibition of movement, and the possibility of sagging skin. All of these problems can be addressed by a plastic surgeon, and every case will be handled on an individual basis. What kind of results should be expected after the surgical procedure has been finished? Patients should understand that the results will vary based on the type of skin cancer and the severity of the cancer. Larger cancer sites will mandate larger procedures will be tougher to correct; however, all of these expectations should be discussed in detail with a your plastic surgeon before the procedure day. Patients with questions and concerns regarding any prospective or upcoming procedures may contact our office. 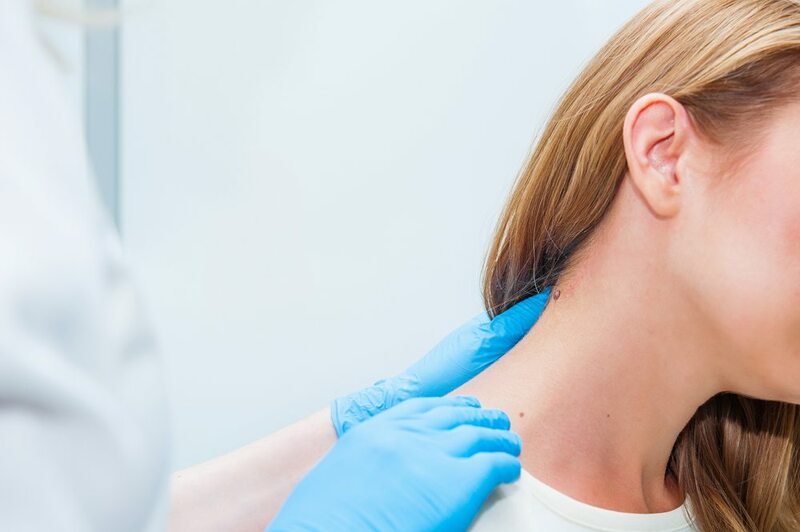 We have an experienced plastic surgeon who has handled a wide variety of skin cancer excision and reconstruction cases, and has developed an impressive track record of happy and satisfied patients. Contact our office today to schedule an appointment!